As a busy mom, comfort is essential. I need to be able to do all my running around the house and chasing kiddos without worrying about wardrobe malfunctions or uncomfortable attire. The place where I have the biggest issue is my feet. I hate wearing shoes, socks or anything. My feel need to be comfortable though being as I am always on my feet for one reason or another. Wearing slippers sometimes helps, but so many slippers I have owned are actually not that comfortable at all. They are not cushiony enough, too cushiony, too furry, too hot, slippery on the bottom, and the flaws go on. And if I do find something that is actually comfortable, they are nearly always pretty ugly. I am still young and do not want to look like a granny. I need something stylish yet practical. I am pleased to say that I have finally found the solution I have been dreaming of. BunnySlippers.com is perfect. 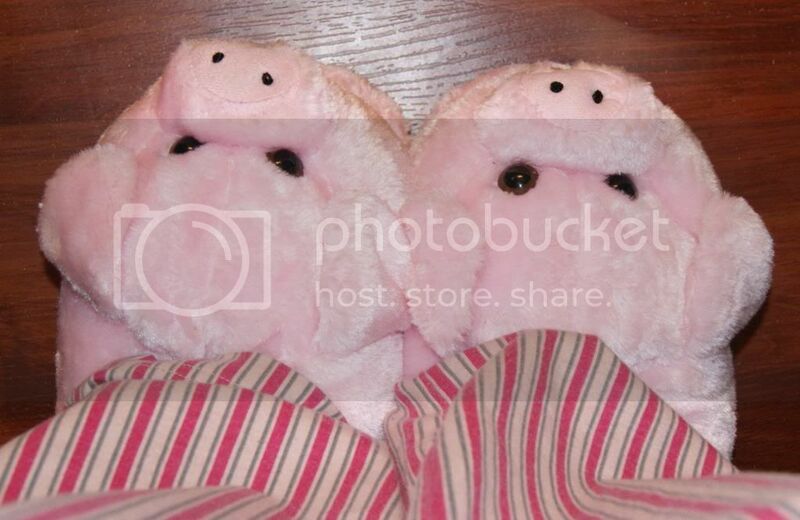 They have the most adorable slippers ever. They offer a huge selection of Animal Slippers(And other adorable styles like Zombies). There are so many awesome choices that it was so hard to decide which ones to get. As much as I love all the styles, I just had to make a choice. 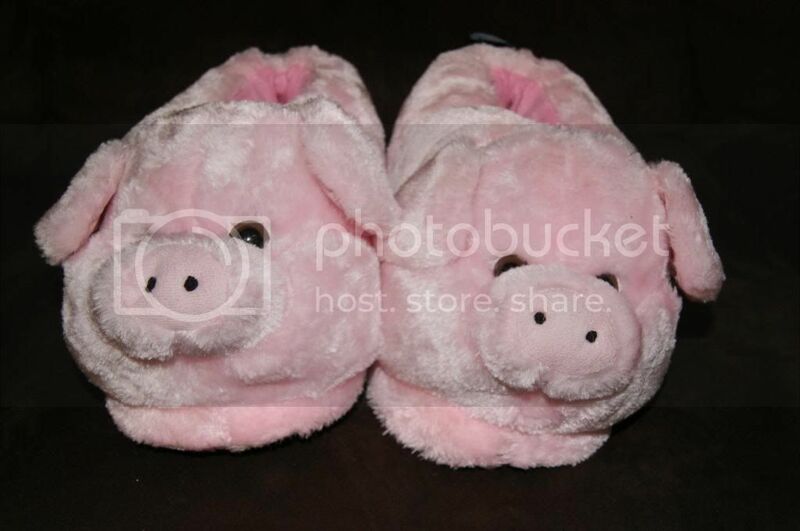 I finally decided on the Pink Pig Slippers. Are these the cutest things you've ever seen or what? I LOVE them. They are so fun and unique. They are whimsical and child-like and yet not childish. I am not ashamed to be seen in these(not that I am really). Not only are they fashionable and fabulous, they are so comfy too. They are very plush and supportive. They are like a hug for your feet. I really like that the inside is not fuzzy. It makes them warm, but not hot, sweaty or suffocating. Plus fuzzy fibers sometimes get on your feet with certain slippers. No one wants linty feet. Seriously, these are so comfortable. I could wear them all day long(and I have, lol). They actually seem to be helping my feet to not hurt, and even helping prevent back pain that I always get. Maybe it was just because of bad support. Whatever the reason, these slippers are the best I have ever owned. And it just so happens that they look super cute with some of my pajamas. I don't own a lot of pink, but I like to rock it sometimes, and these do that perfectly. I just can't get enough of these adorable piggies, and neither can my kiddos. Not only do they both try to steal these from me, but they also fight each other for them. Looks like I'll be buying 2 children's pairs very soon. I plan to get more for myself too. These are just fantastic. With Mother's Day coming up, BunnySlippers.com is the perfect place to get any mother in your life a cute gift that they will really use and appreciate. Flowers and jewelry and such are great, but these will be well loved every day I assure you. 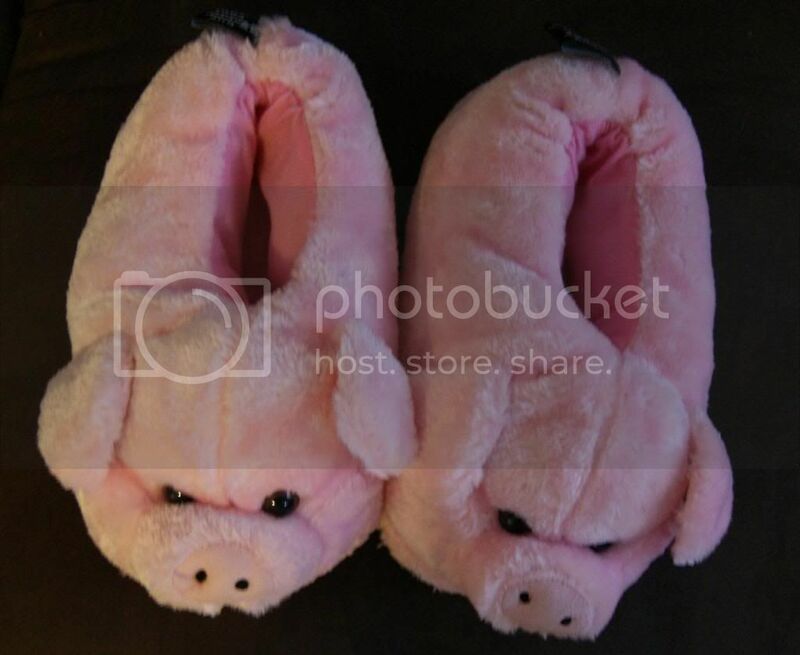 And to show what a great gift they make, BunnySlipper.com and I are giving away a pair of these super sweet Pink Piggy Slippers. Enter below. Good luck. I like regular slippers the best. Hurrah! Аt laѕt I got а weblog fгom wheгe I bе ablе tо actuаlly taκe uѕeful dаta regarding my study and κnοωlеdge. I absolutely LOVE the Gray Long Hair Cat Slippers. They look like 2 of my cats that are brother and sister. So cute!!! I love the thong bunny slippers! I love the Fuzzy Black Cat Slippers! My kitties might like them too, Lol! I like the clownfish slippers.